Not long ago, we found out that the successor to HTC’s One (M8) wouldn’t be called One (M9) - because HTC reportedly intends to use a different naming scheme for it. The upcoming flagship handset is currently codenamed HTC Hima, and rumor has it that it will be available starting March 2015. Until official details about this arrive, @upleaks posted a document which appears to contain information about the Hima, as well as other unannounced HTC devices. Unsurprisingly, the document shows that the Hima will be widely available around the world. In the US, all four major carriers should offer it. More interestingly, there seems to be a Hima Ultra variant that’s supposed to be released only by AT&T and Verizon in the US. There’s no word on what’s different between the regular Hima and the Ultra variant, though the latter might be larger - just like the One Max is compared to the regular HTC One. An HTC Hima Ace is also mentioned - this should be a cheaper model, similar to what the One (E8) is to the One (M8). Finally, a Windows Phone variant of the Hima could be in the cards, too. Specs-wise, the HTC Hima (or at least its regular version) will reportedly come with a 5-inch 1080p display, a 20.7 MP rear camera, 64-bit Snapdragon 810 processor, 3 GB of RAM, and a 2840 mAh battery. The leaked document - seen below - further mentions an HTC RE 2 camera. As we told you earlier this week, this new RE camera is expected to be unveiled sometime next year, as an HTC exec already spilled the beans on it. Moreover, we’re seeing an HTC Butterfly 3 (which should replace this year’s Butterfly 2), plus a few HTC tablets. One of the slates is “based on Nexus 9, and maybe running HTC Sense” according to the document. @upleaks also posted a screenshot which suggests that the Hima will come with Sense 7.0 UI (this hasn’t been announced by HTC, but it makes sense for the new flagship to have a brand new version of the UI). We must keep in mind that, while @upleaks has been a reliable source until now, there is no way to confirm any of the details presented above (though they aren't far-fetched in any way). HTC tablet running sense,that will be more snapper than nexus 9. And Hima should have at least 3000mAh battery. If sense never ran snappier than stock on phone, what makes you think it will on a tablet? I think the tablet is going to bomb like the HTC One Max. It's going to be way too heavy and big compared to the competition. The smartphone is up in the air. we shall see if they learned from their mistakes last year. Are you kidding me? Sense not snappier on a phone? Have you used any HTC device since they updated sense to 5,5.5,6? You must've seen android l on nexus 9 its not that snappy,it still stutters here n there. And not to mention sense 6 is fast,smooth,lag free. So why won't it run better on a tablet? My Nexus 5 with the weaker SD800 was always snappier than my M8. The Nexus 9 is actually pretty fast. Yes 64 bit and art isn't fully optimized yet, but I doubt sense will do much better than lollipop. m8 is faster than nexus in my experience . probably because of the animation speed. The only difference is literally a .1 GHz clock speed increase. 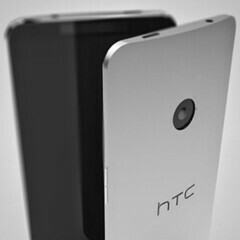 HTC HIMA Ultra = HTC ONE Max replacement with a Sharp recently announced 6.1" IGZO UltraHD (4K) ? This would be nice. I'd buy that real quick. Yes! I want them all and I want them now! 2840mah battery is so 2013..
Hope HTC Desire Eye has it's sequel. The first one looks very nice together with dual 13mp camera and LED flash. Still pretty far away so we can't yet criticise or praise... But I was not quite happy with HTC this year. The M8 was uglier than the M7, doesn't have a better camera than the M7 (which is probably the main problem of the M7) and CMIIW it doesn't attract that much buyer like LG (who had some record breaking sales this year) ... The butterfly 2 was also disappointing TBH. Should've been like the original butterfly with some advanced breakthrough suitable for a second half release... Oh well, let's hope they're going to do better in 2015 to rev up the competition. So HTC Hima Ultra is series 0PK7?? With the new HTC hima using the S810 why would they only use 1080p res? And anything less than 5.5" QHD screen and 3500mah battery support as well as a 16 or 21mp camera lense and they might as well blow their head off now!